The Sydney Opera House is made up of three groups of interlocking “vaulted shells” housing two primary concert auditorium spaces. The shell-like structures sit upon a large platform, encompassed on the outside by stepped terraces as staging or assembly areas for visitors. 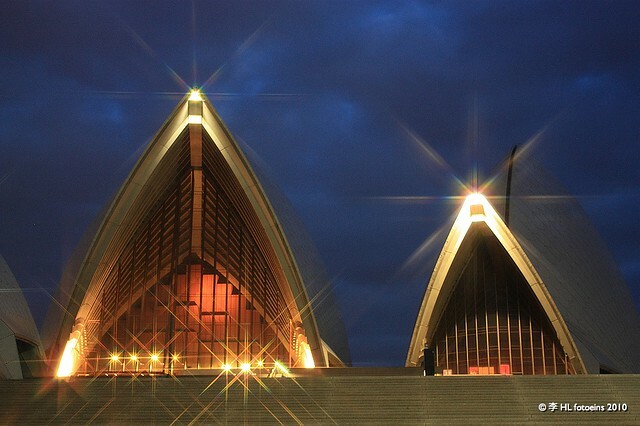 On 20 October 1973, Queen Elizabeth II formally opened The Opera House. Forty years on, the building is an icon for both Sydney and Australia. The building endures as a “landmark” and “ambassador” for both city and country. Immediately telling are the roof’s white shells, looking like wind-blown sails at a distance in the harbour. Danish architect Jørn Utzon won the design competition in 1957 for the building. His brilliance was the ability to combine various elements of nature with the immediate surroundings of the physical site in the interplay among land, air, and water to “conspire and construct” a structure which would attract people into the facility and yet, simultaneously drawing people’s eyes from the building’s interior outwards to the sky, the sea, and the surrounding city. … The premature start (to the construction) meant, for instance, that piers needed to support the roof were sunk in place before the roof design was resolved. Utzon had drawn free-form sculptural shapes that the project engineers, Ove Arup & Partners, struggled in vain to convert into buildable solutions. Utzon, still living in Denmark, prowled his father’s shipyard. 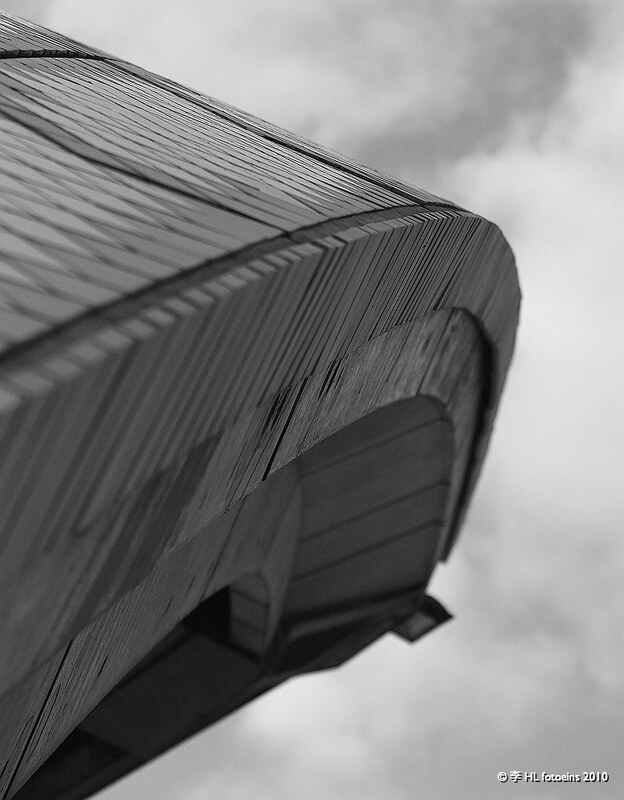 He thought about a saying of his father’s: “Here in the dockyard you construct and produce what you can’t buy, what is not to be had, what is necessary.” The large curves of the hulls gave him an idea: all of the Opera House’s roof shells could be generated from a single sphere. The solution was not only buildable; it allowed complex elements to be prefabricated using a small number of simple forms, as in his beloved Sung-dynasty manual. Excited, he returned to his studio and explained the idea to an assistant by cutting all the necessary shell-shaped segments from the skin of a single orange. However, the impact of the new design on the Sydney site was rather less elegant: the piers weren’t in the right places to bear the loads imposed by the new geometry. For several days, downtown Sydney shook from the explosions as the piers were blasted out and redone. 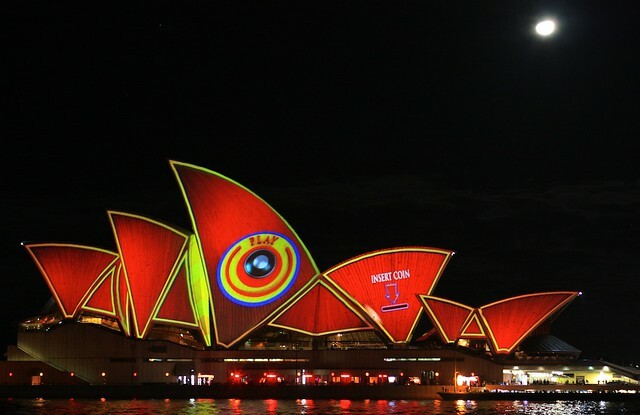 What does an orange have to do with the roof of the Opera House? A simple at-home experiment provides an answer. Take a smooth round orange (or grapefruit), and slice the fruit in half. 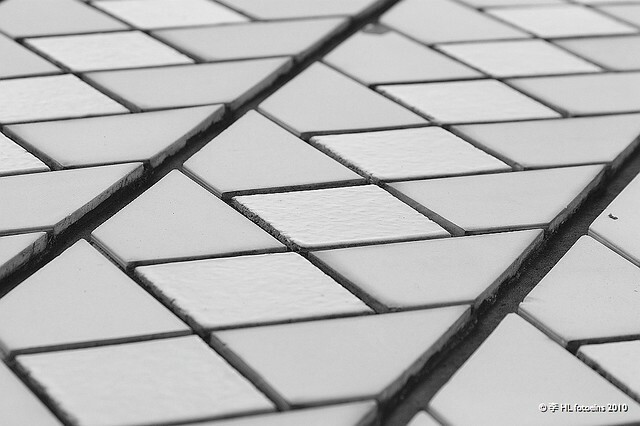 Place one of the halves with the flat-side down onto a flat counter or table top. Carefully cut from the peel four triangular-wedges of different sizes. The four pieces have two things in common: (1) they’re all obviously made of the same material, and (2) despite their different sizes, all four pieces have the same radius of curvature, as each piece has been cut from the same peel or surface of the fruit (from the same sphere). The roof structure of Utzon’s competition-winning design could not be built as planned as the shell forms of the roof were irregular and structurally unsound. Utzon’s solution was to take all the forms from a single sphere, as shown in this demonstration model. This allowed all the shell components to be calculated and then prefabricated. 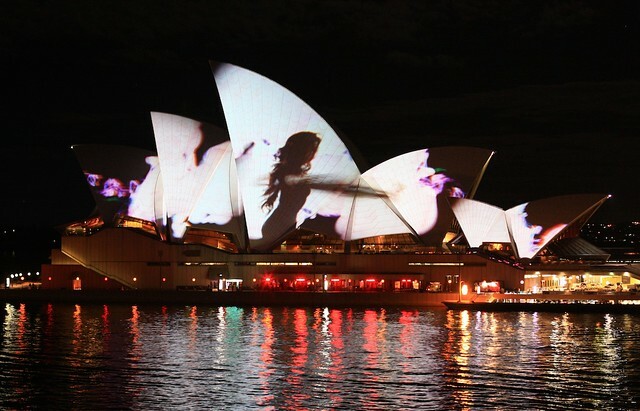 … There is no doubt that the Sydney Opera House is his masterpiece. It is one of the great iconic buildings of the 20th century, an image of great beauty that has become known throughout the world—a symbol for not only a city, but a whole country and continent. In 2007, UNESCO recognized the site’s importance and heritage value to modern architectural history by listing the Opera House as a UNESCO World Heritage Site. 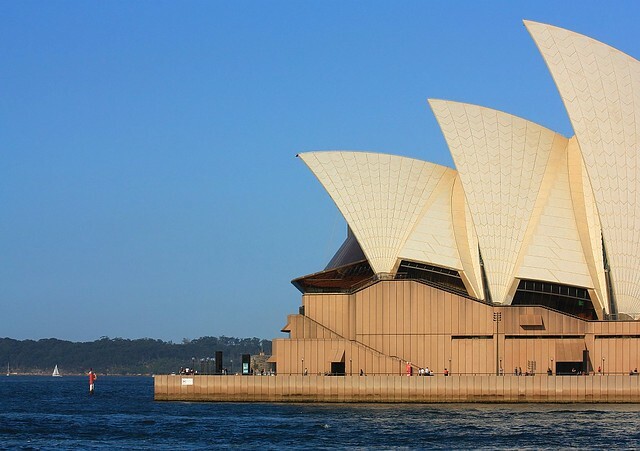 The Opera House was the youngest cultural site at 33 years of age to be included on the World Heritage List, and one of only two cultural sites listed while the building’s architect was still alive. Utzon died one year later in 2008, never having returned to Australia to visit the completed building. Even from afar, The Opera House never strayed far from his thoughts. 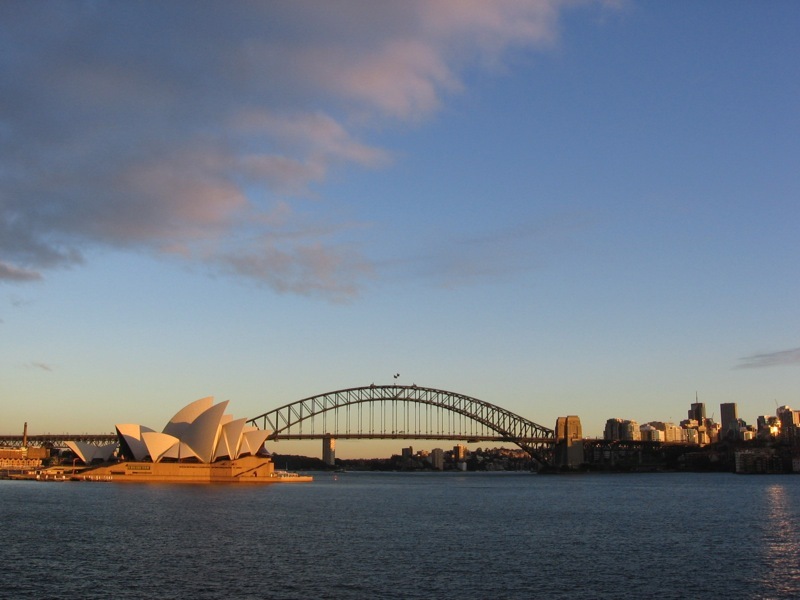 I first set foot in Sydney and Australia in 2007. Whenever I’m in the city for any length of time, I’m compelled to return to Sydney Cove. The sight of the Harbour Bridge and the Opera House tells me all is right in this part of the world. If Sydney becomes home one day, home won’t be complete without those two landmarks. 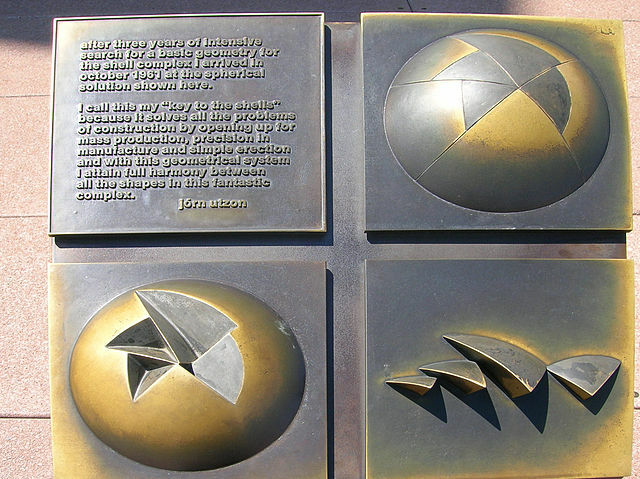 • Sydney Opera House: Utzon Design Principles – May 2002, PDF. • Geraldine Brooks’ The New Yorker article: about Utzon’s story, conflict, exile from the project, and subsequent reconciliation with the Sydney Opera House. 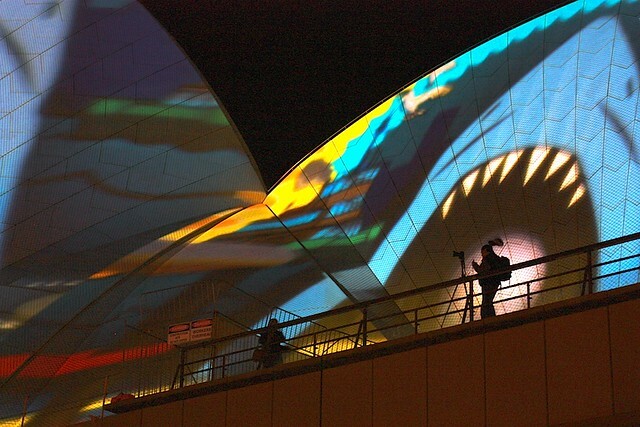 • Photographic highlights, from VIVID Sydney (2013). Except the second photo by Joanjoc on Wikimedia, I made the remaining photos between 2007 and 2013 inclusive. This post appears on Fotoeins Fotografie at fotoeins.com as http://wp.me/p1BIdT-Cp. I live in Sydney, and never tire of seeing the Opera House. It makes me happy every time I pass it. Great post on my of my favourite buildings in the world! Thanks, Jo! Spending 3 months in Sydney this past (southern) autumn taught me a few things about the city. One lesson was how important the Opera House and the adjacent Coathanger are as symbols to the city and (hopefully) to its people. The second lesson was the feeling the sight always gave me, the thrill never diminishing. Thanks again for reading and for your comment! ahhh you’ve made me so homesick. please give the big white girl a wave and a kiss from me.